Netflix is launching a new after show series – Beyond Stranger Things. All seven episodes will be available to watch on Oct 27, HOWEVER – do NOT start watching until you have binged all of Stranger Things 2. The show will will automatically play after viewers complete the final episode of Stranger Things 2. The coming show will be hosted by writer, producer and actor and Jim Rash. 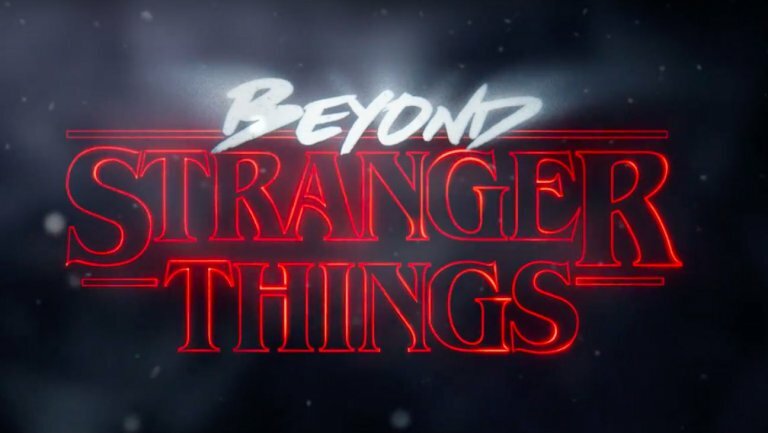 Beyond Stranger Things will explore the inspiration for the series, share behind-the-scenes stories and analyze the episodes. Guests include creators Ross and Matt Duffer and executive producer and director Shawn Levy, along with cast members Millie Bobby Brown, Sean Astin, Linnea Berthelsen, Natalia Dyer, Brett Gelman, David Harbour, Randy Havens, Charlie Heaton, Joe Keery, Gaten Matarazzo, Caleb McLaughlin, Dacre Montgomery, Paul Reiser, Noah Schnapp, Sadie Sink and Finn Wolfhard.